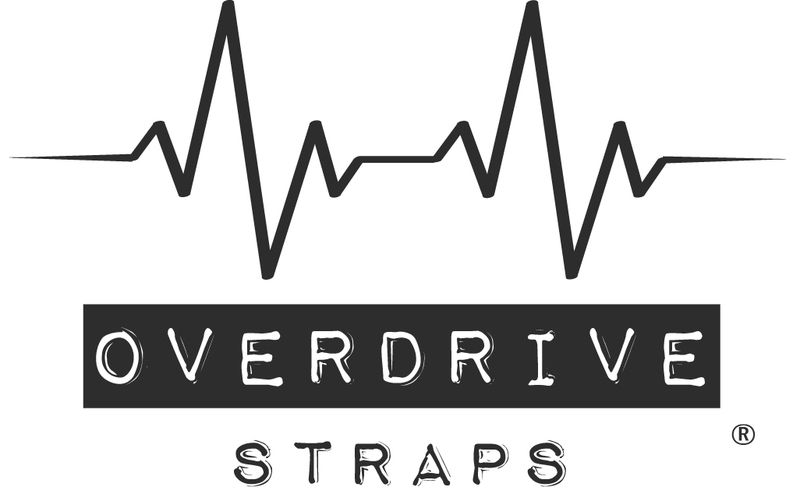 Below you can read the experiences of people that have purchased Overdrive Straps from our webstore. Loving your Overdrive Strap? Feel free to leave a message. These straps are gorgeous and comfortable, with attention to details like extra large holes for strap locks. Brilliant! Great strap, great service. Thanks again. High quality straps which I can recommend to anyone. Mine was Christmas gift and it was payed with a big smile from my daugther. I bought a guitar strap as birthday's present and it has been the perfect gift! I really appreciate the high quality of materials and the design! Cissie is absolutely kind and professional! I have two Overdrive straps (a black seatbelt and the red/black boho ) both are excellent. In fact, I'm so happy with the two I have i've ordered more. They're very comfortable plus they look and feel great. Overdrive also has a lot of cool designs and colors that i don't see anywhere else. They make my guitars happy! We got the Oriental Ocean Blue and the Marrakesh straps because we couldn't decide between them. The nylon straps are seatbelts -- heavy duty and lightweight. The material is stitched well -- it seems. Time will tell if the thread holds-up. Very nice quality in all aspects. And cool. I bought a gold seatbelt strap to pair with my stratocaster. I could not be happier with my purchase. The quality and durability so far has been very good and it is extremely comfortable to play with. It is aesthetically very pleasing with a big amount of work having been poured into the attention to detail. All in all I have no complaints whatsoever. It is simply a great product; beautiful and very well built. I have 2 Overdrive full leather straps that I use for acoustic guitars - a black Maya and a brown Marrakesh. They are both beautiful, and comfortable. My only suggestion would be to add a loop near the buckle to keep the end of the strap in place. I own many straps, including some that are custom made, but my Overdrives are my favorite because of the way they look and feel. The ordering process is also very easy, and the shipping is fast and reliable. Overall, I highly recommend Overdrive - you won't be disappointed! I first bought a boho Red/black strap from GuitarBox. I fall in love with it (confortable and it's look good). I have since order a "Boho" Purple/Black and a Green/Black. the order process is very clear with a great follow up. Bought a Woodstock strap and I love it. The quality is excellent and it looks great with my new Monterey Strat. Ordering process was easy and after I had placed my order, a small change was still possible. That's what I call customer service. Comfortable, stylish, and customisable straps. Excellent build quality and quick delivery times. I bought my 1st strap from a retailer and loved it so much that I bought a black seat belt one directly. I realised that I would like a few changes and requested them when I ordered a white Yeti strap for my new Tom Anderson that was due to be delivered. They made the changes without charging extra and the new strap is amazing. I have suggested they make one of my changes an option on all straps because the Yeti is now my favourite. I've been extremely happy with their communication and service and highly recommend everything they do. I ordered the beautiful slim brown leather strap for my acoustic. It's a quality product which oozes class. Quick delivery and great communication too from overdrive straps. Highly recommended! Thanks a million! i glady recieved my order after a few days past the order and at the first sight, those straps where amazing. Very well work on every stitch an totally clean belts and patterns on it. The hardware is also very nice and shine. Cheers from the beautiful Austria! A very high quality strap, prompt delivery and great customer service. I just bought my third, beautiful work, thanks Ciccie and Justus, nice work! Great service and quality, would recommend to anyone! Very good overall! Customer friendly, easy to manage the menu on webshop. Most of all: great quality products. I`ll be back! It's the best strap I ever had. Fast shipping, great communication. I'll never let it go.